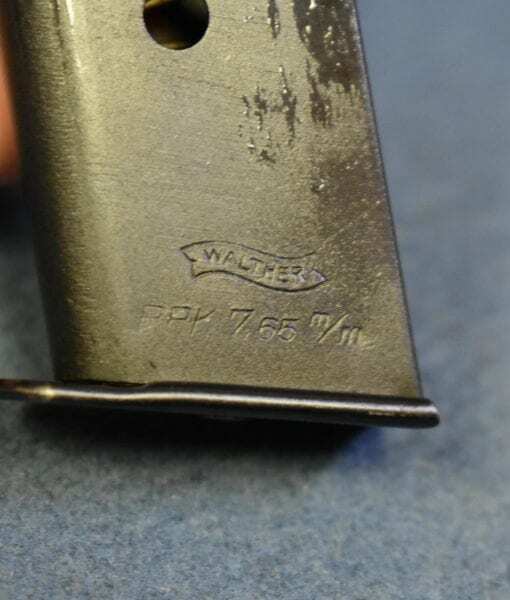 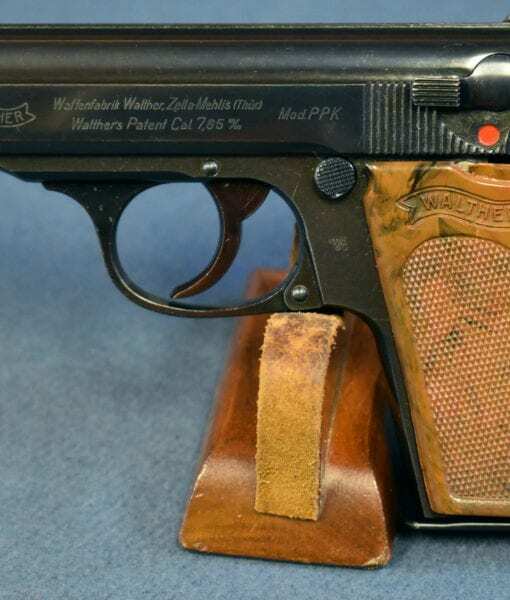 WALTHER PPK PISTOL……NAZI POLICE E/C MARKED…..HIGH POLISH EARLY WAR…..MINT! 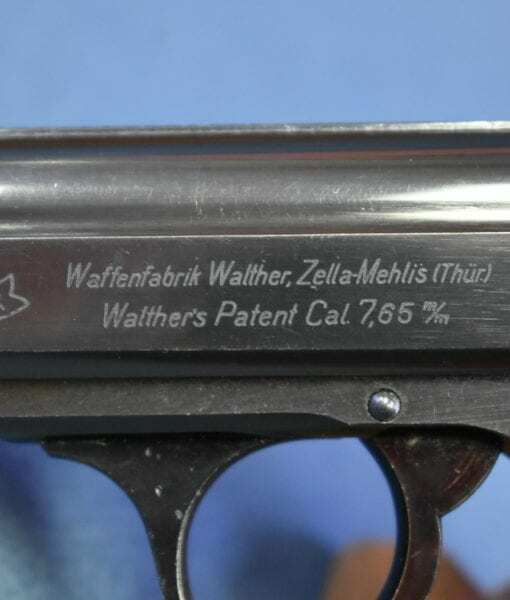 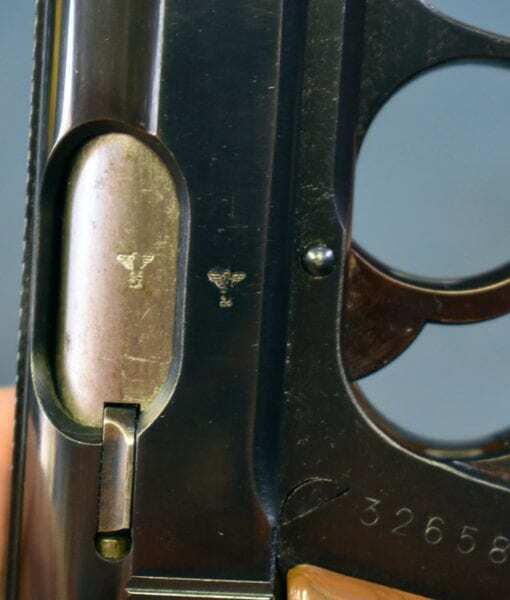 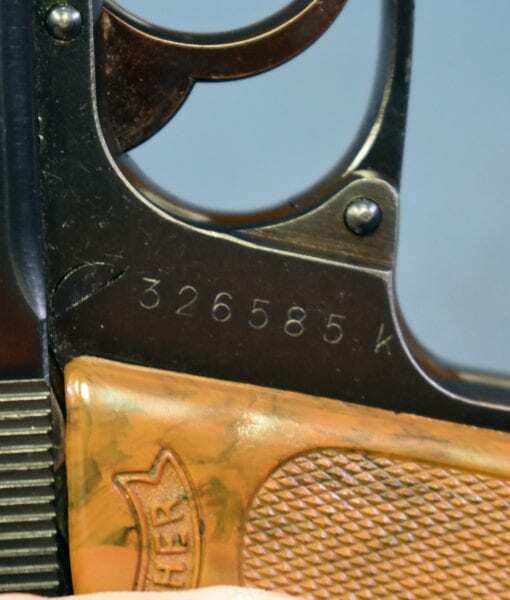 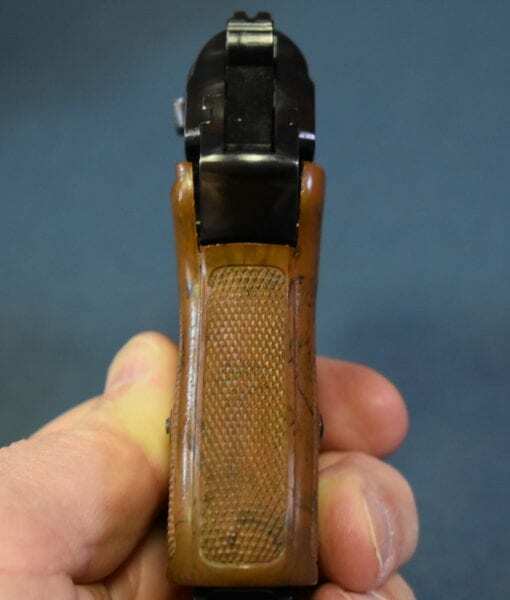 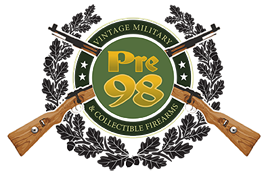 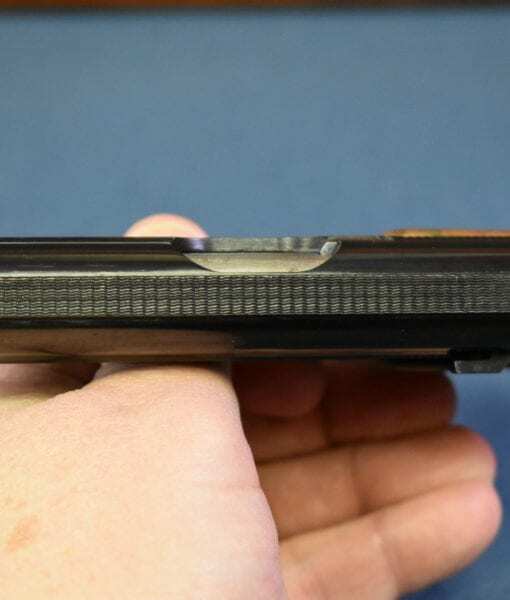 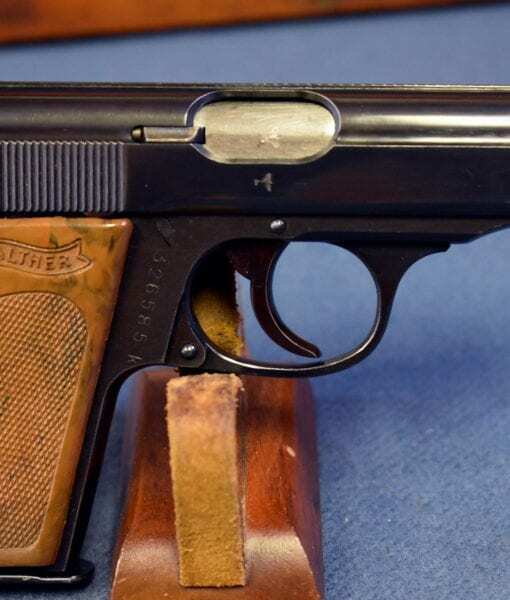 In 98% mint sharp condition we have a very clean minty example of a 1942 production Walther PPK Pistol that was issued to the Nazi Police and bears their “Eagle C” acceptance stamp. 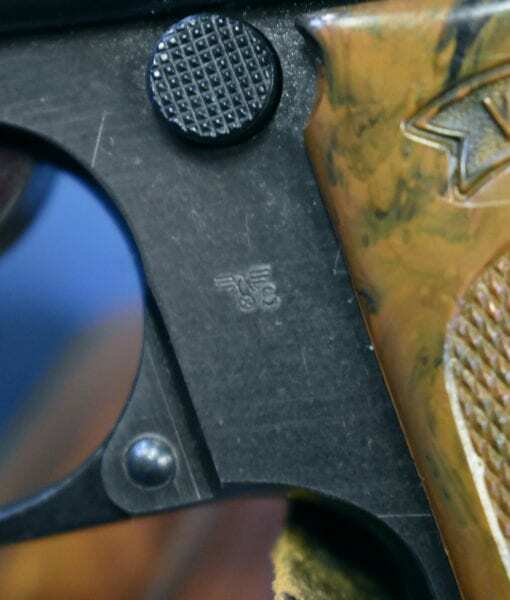 The pistol is matching and the bore is mint. 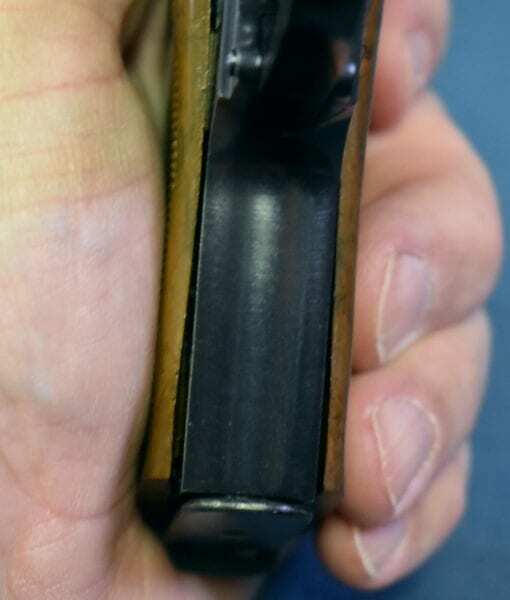 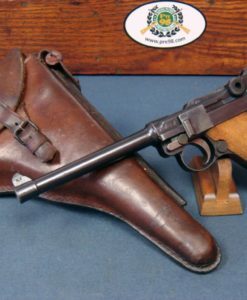 This pistol is Eagle N proofed and it is the most common of the Police issued Walthers with about 24,500 being produced. 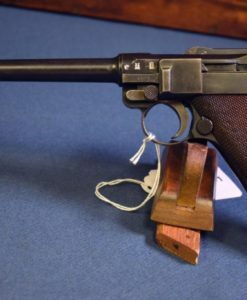 These pistols were needed in large quantities to arm the Nazi Police apparatus in the occupied territories. 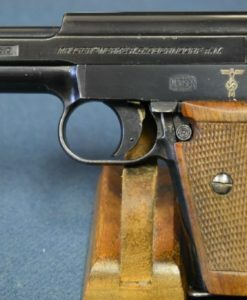 The ppk would have been the ideal pistol for use by plain clothes officers who were hunting down partisans and other enemies of the Reich. 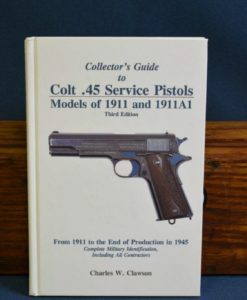 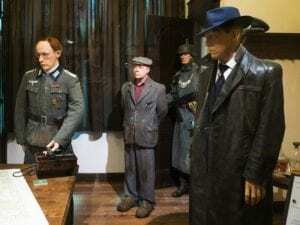 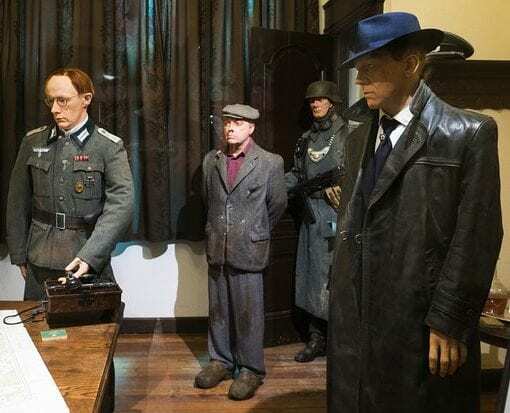 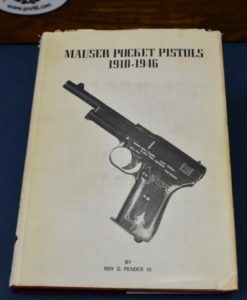 If you are looking for a great example of the Legendary Walther pistol and want more than just a commercial example this is a great choice as it is brings back notorious connotations of Nazi plainclothes Police looking for the resistance.